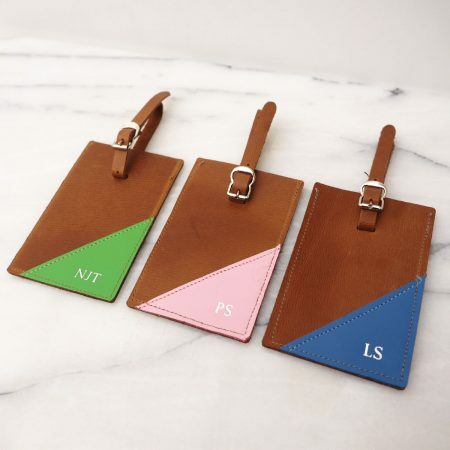 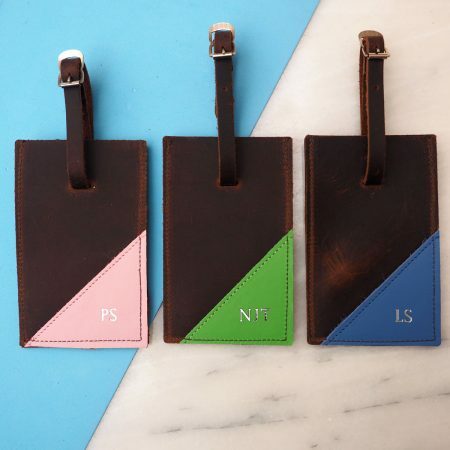 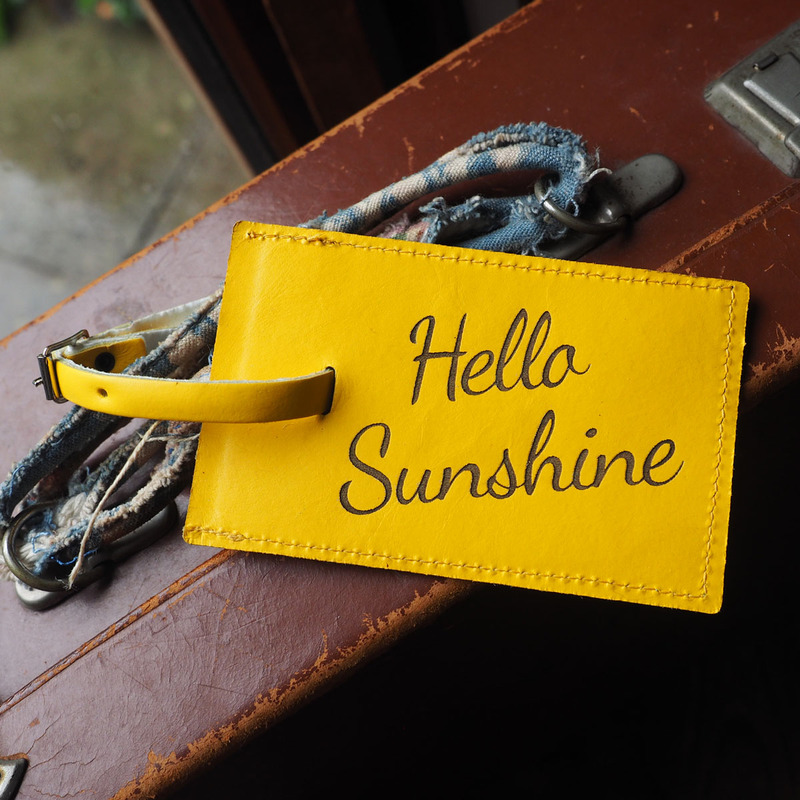 These sunny yellow leather luggage tags will cheer up even the most care worn set of luggage tags. Bright and cheery attaching the happy go lucky luggage tag with it’s ‘Hello Sunshine’ slogan to your luggage makes a great way to begin your travels. 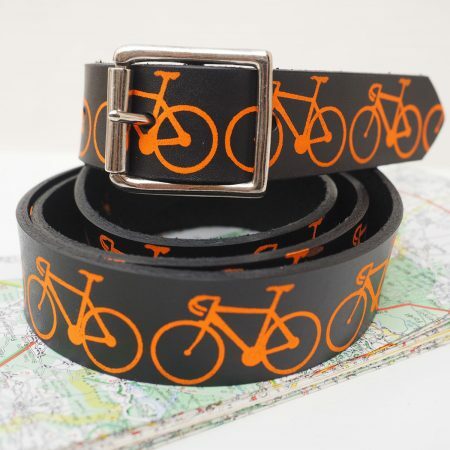 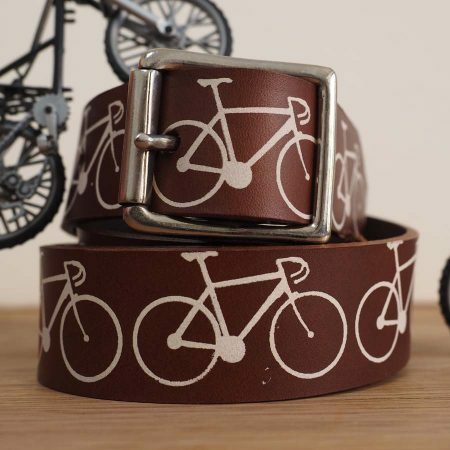 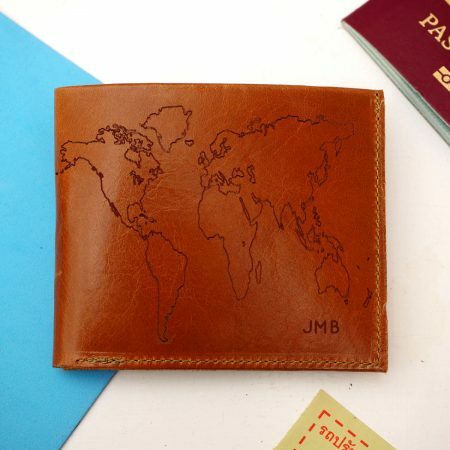 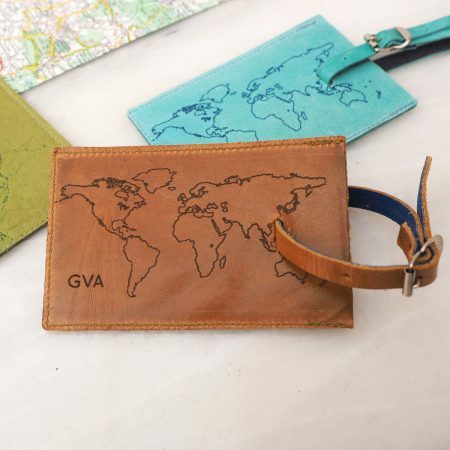 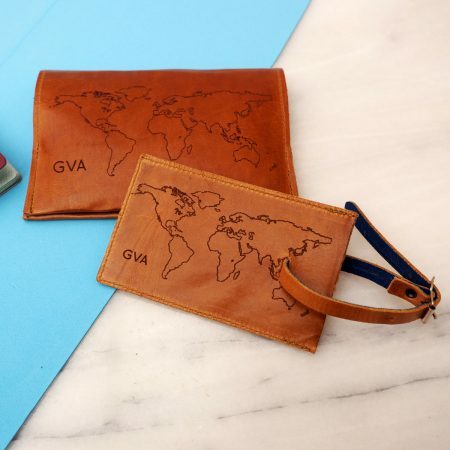 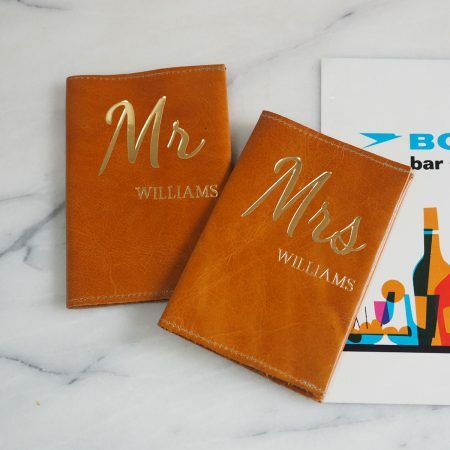 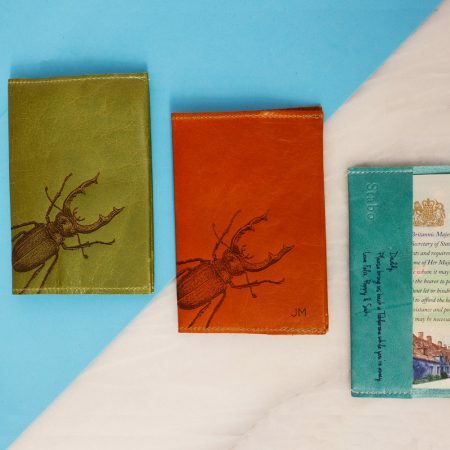 They make a perfect gift for a travel loving friend. 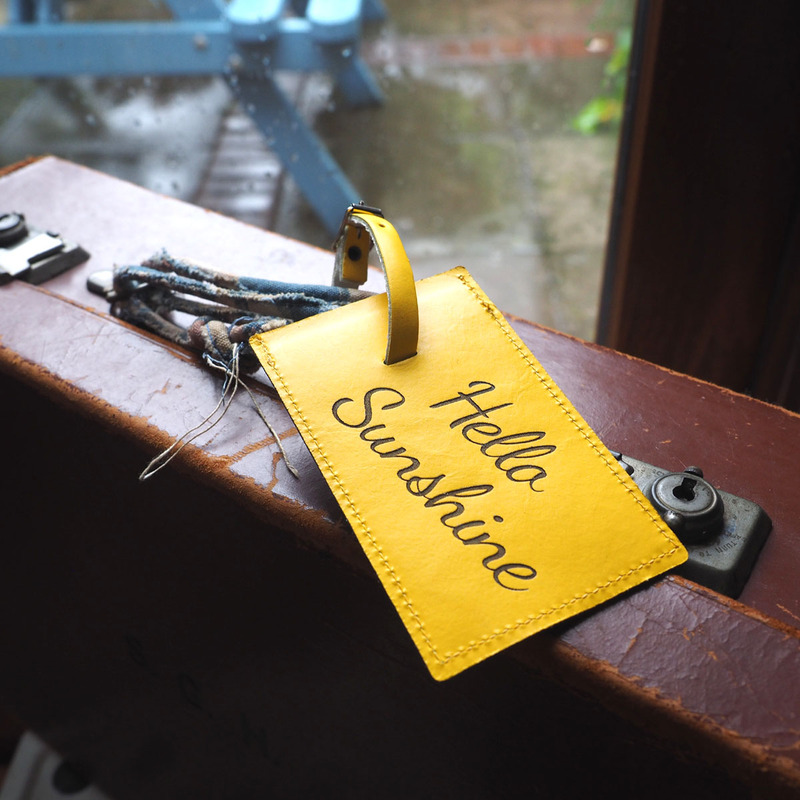 Their bright yellow colour makes the luggage tag and your luggage really easy to spot on a busy luggage carousel. 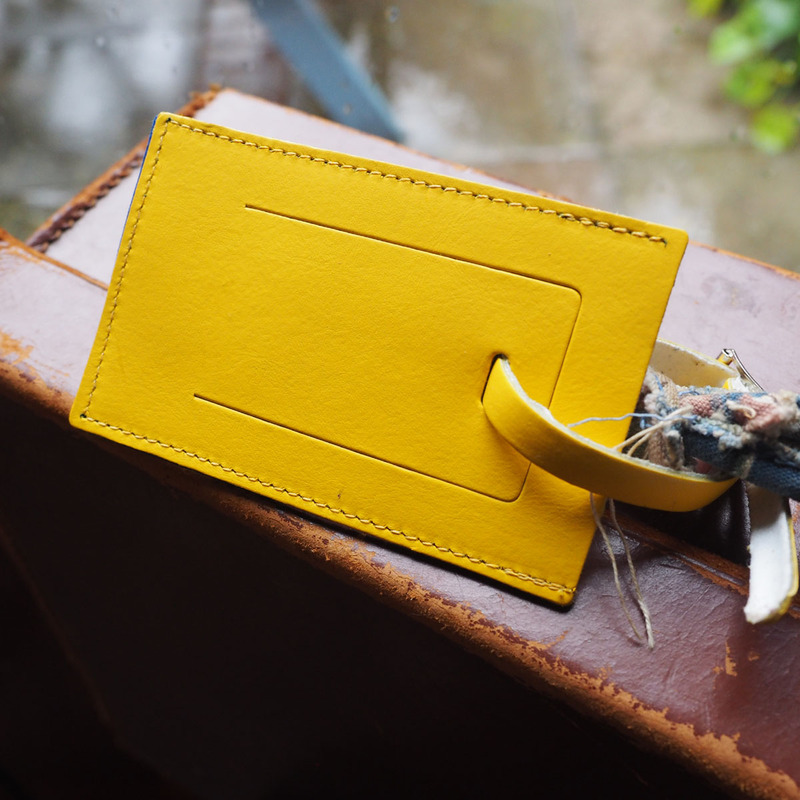 We make them here in our Cambridge Workshop. 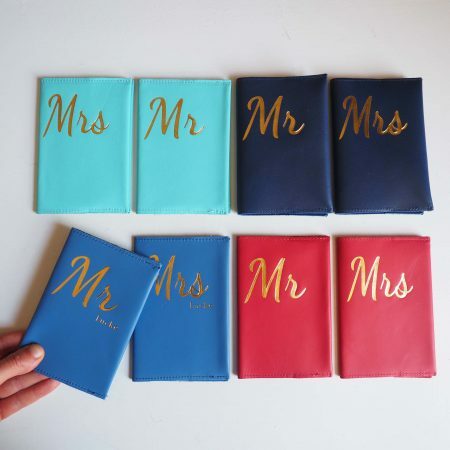 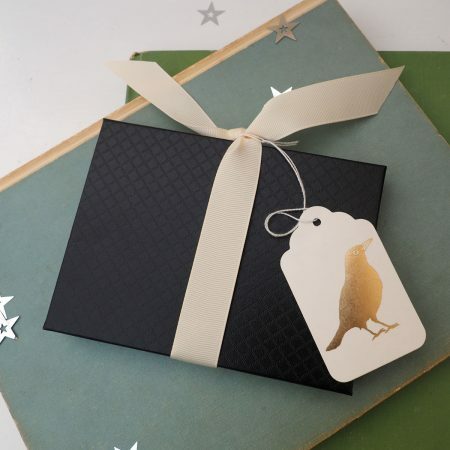 We can also gift wrap the luggage tag making it a perfect gift you can send directly to the recipient in a black gift envelope with a gift tag.